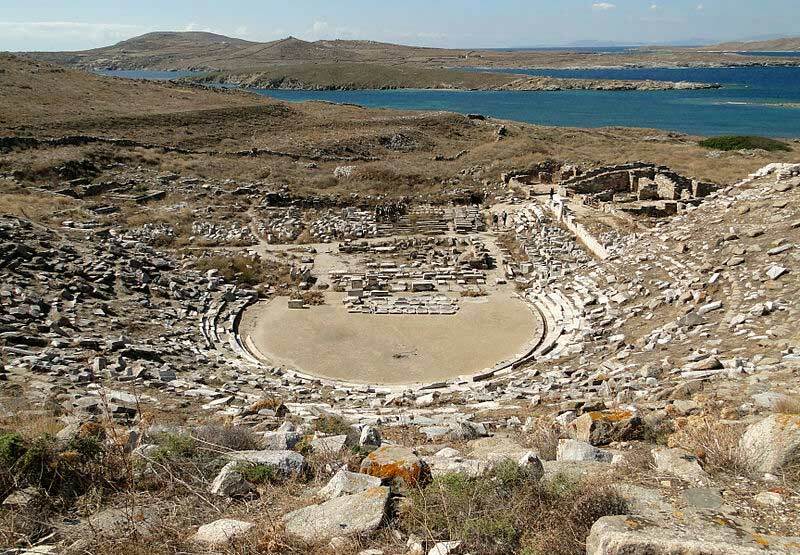 Ancient Greek theatre in Delos, Greece. “Greek architecture in the 3rd century AD” is organized by The French School at Athens and the Institute Universitaire de France. Issues that will be discussed during the workshop include: The architectural elements and historic circumstances that configurated the Sanctuary of Delphi, Doric innovations at the conservative landscape of Peloponnesos during the Hellenistic period, The architecture of Sicyon during the Late Hellenistic period, Urbanism and architecture in Thassos during the 3rd century between Macedonia and Asia Minor, Delos in the 3rd century, The Mausoleum of Belevi – archaeological evidence to chronology and dedication, The Architecture of the Dodecanese in the Third Century: an Overview, Some reflections on the Ionian Renaissance and the architecture of Kos and Rhodos.